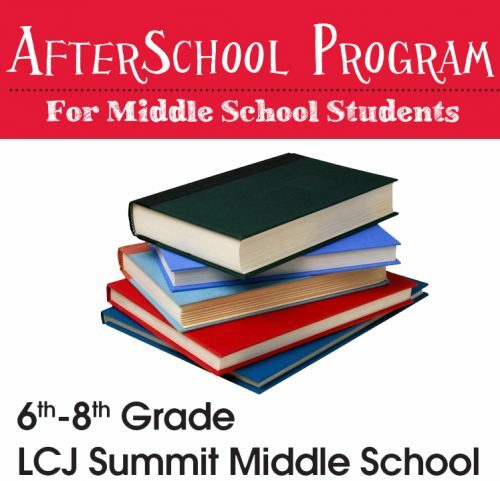 If you have a student at LCJ Summit Middle School, we have an AfterSchool Program just for them! Our AfterSchool programming provides a supervised environment for your student to receive homework assistance and participate in planned enrichment activities. Students may sign up for one to five days. Monday-Friday, 2:45pm – 6pm. Based on availability, drop-in is available, but advanced reservation is required at least 24 hours prior. Available only for students enrolled in our AfterSchool programs. Space is limited and is offered on a first-come, first-serve basis. Possible rotations include field trips, swimming and recreational activities. Unscheduled early dismissals: The Connection does not provide student care if the Summit schools are closed for any reason including snow days, unscheduled early dismissals or cancellation of after school activities.